Brisbane-based tech company Tritium is among the companies selected for a multi-million dollar project that will change the electric vehicle marketplace by providing high-power fast charging directly from the medium voltage network. According to Tritium co-founder and engineering director James Kennedy, the $3.2 million project funded by the US Department of Energy and awarded to the Electric Power Research Institute (EPRI) will allow people to keep a “petrol station mentality” when shifting to electric vehicles. Because petrol stations are readily available, people will drive until they are nearly empty, then pull in to fill the tank – which takes only a few minutes. At the moment, owners treat electric vehicles more like mobile phones – fully charging them overnight to maximise range. Coupled with the increasing operating ranges offered by electric vehicles, Kennedy said the widespread availability of high-powered fast chargers – known in the US as ‘extreme fast chargers’ – would also make long distance electric vehicle road trips much more possible. Kennedy said the charging stations under development will have the potential to add up to 350 km in 10 minutes for cars capable of using 350 kW power. There will initially be six charging heads per site, and more in the future. “It’s a bit of a game-changer, and I don’t think that’s hyperbole,” Kennedy told create. According to Kennedy, Tritium’s involvement in the project followed on from previous work they have done with project lead EPRI – a US-based, utility-funded research centre that focuses on a range of issues including the electric vehicle charging network and its impact on the power grid. “They thought the design of our high-powered charging system was extremely interesting,” Kennedy said. 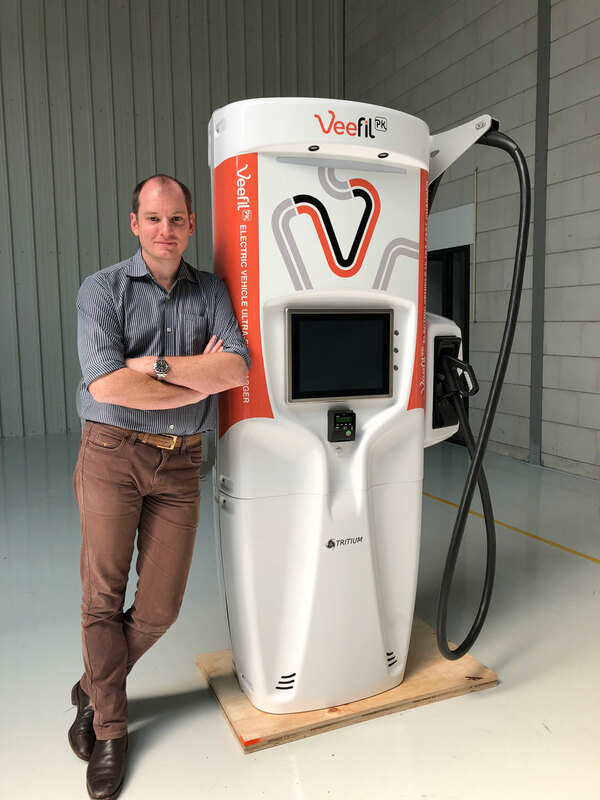 James Kennedy leaning on Veefil-PK (up to 475 kW) High Power Charger. Tritium is one of a number of project partners, including global power management company Eaton. Kennedy explained that Eaton is working on the most important part of the project – developing a rectifying charging system that can directly connect to the medium voltage charging system, rather than via a step-down transformer. Tritium has a budget of $800,000 to adapt its Veefil-PK high-powered charging head – which can deliver up to 475 kW depending on the capacity of the electric vehicle – to interface with Eaton’s system. Kennedy explained that removing the large and expensive step-down transformers would mean a reduction in cost of around $50,000 to $60,000 per charging station. It would also shrink the station footprint by about 6-8 square metres. “In a city area that’s a valuable amount of real estate,” said Kennedy. Kennedy added that removing the transformer should also result in small efficiency gains by removing one stage of power conversion. Kennedy and his co-founders Dr David Finn and Dr Paul Sernia started Tritium in 2001 after racing solar cars together at University of Queensland. All three founders have a background in computer systems engineering. The electronics they designed for their solar vehicle attracted interest from other teams, so they founded the company to market their products. Tritium moved on to electronics for mainstream vehicles, but things really took off when they started manufacturing charging tech for electric vehicles, Kennedy said. The company now supplies their electric vehicle chargers to companies in the US, Europe and other markets around the globe. Recently, Tritium landed a contract for up to 600 high-powered chargers for a network of 100 high-powered charging sites spanning the UK, France, Germany, Norway and Sweden. To cater to demand, Tritium have expanded their Brisbane manufacturing base, which can now produce up to 6000 units per year. To allow them to remotely maintain and update systems deployed around the globe, Tritium fits their chargers with 3G or 4G connections. “We can do it all from Brisbane, we don’t need an army of field technicians,” Kennedy explained. Because of the low demand for charging stations in Australia, most of Tritium’s business is in exports. 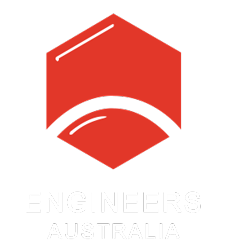 Kennedy commented that Australia’s lack of car charging infrastructure – which electric car owners are working to expand – was a ‘chicken and egg’ problem. “Nobody wants to build infrastructure if there are no cars, and nobody wants to buy cars if there is no infrastructure,” he explained, adding that in Europe, the focus was on building the charging infrastructure to encourage uptake of electric vehicles. Another barrier to electric car ownership in Australia was the limited number and availability of models on offer compared to markets such as Europe, according to Kennedy. “That problem still needs solving in Australia and I’m not sure what the solution is,” he said.